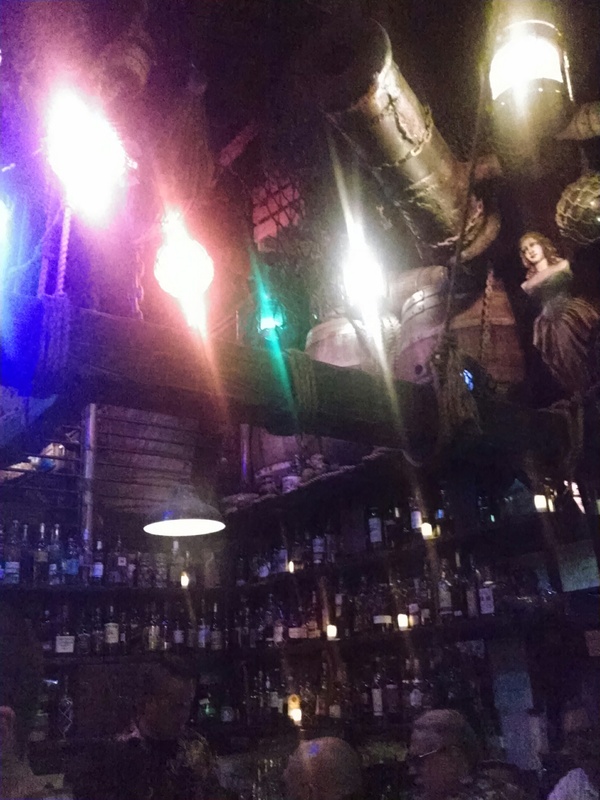 One of the coolest things we did while my sister was here was visit the Smuggler’s Cove, a really neat bar in the city. I’d never even heard of it before, but it was on her list of things to do during her visit. We did some shopping earlier in the day, and then started walking over there. After a brief but terrifying sojourn through the Tenderloin district (I wanted to make sure she soaked up as much SF culture as possible), we got there, but it’s quite sneaky, if you didn’t know where it was you wouldn’t be able to find it. It’s on a quiet residential type street, the front door is plain glass with a very tiny sign on it. Once you go through the door, you find yourself on one side of a draping black curtain. Once you pass through the curtain, you find yourself in Heaven. 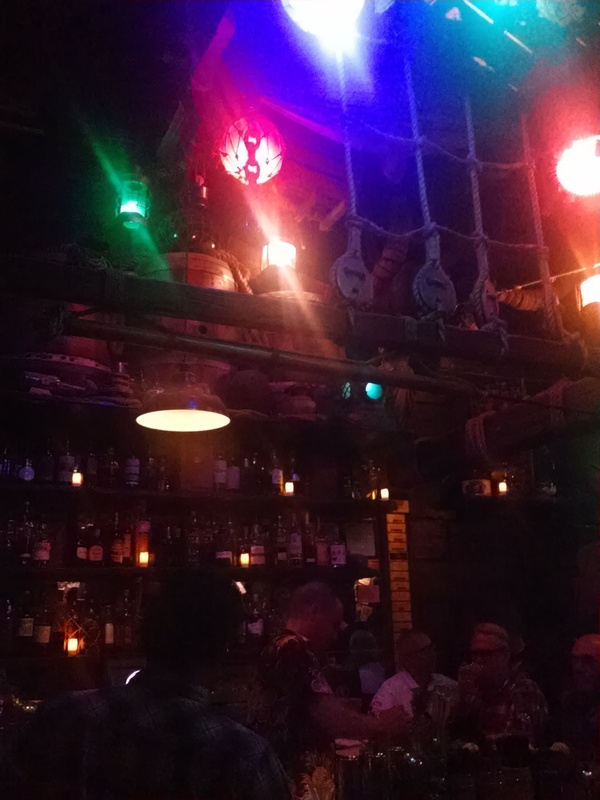 The inside of the bar is a pirate ship. 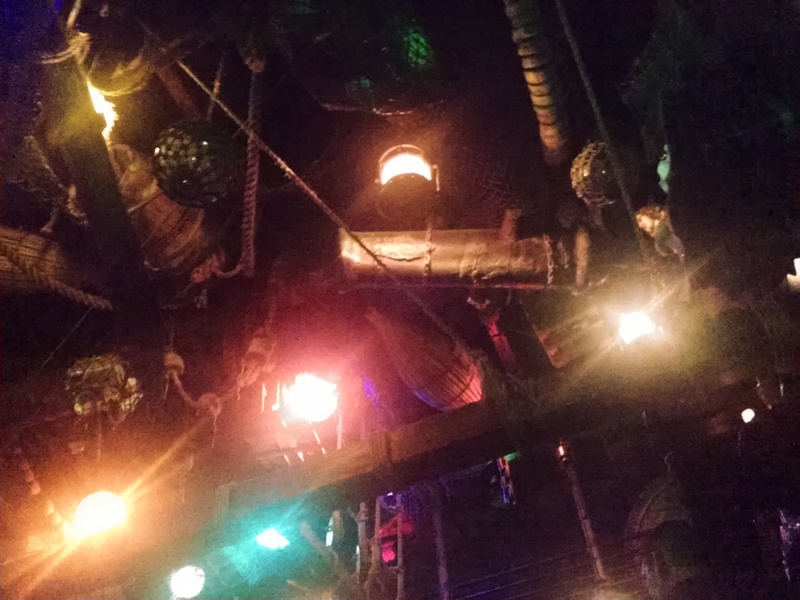 It’s 3 levels, complete with netting, masts and water features, and dark, ominous lighting. There are two bars, one upstairs and one down and limited seating (it only holds 50 people) so you have to get there early. 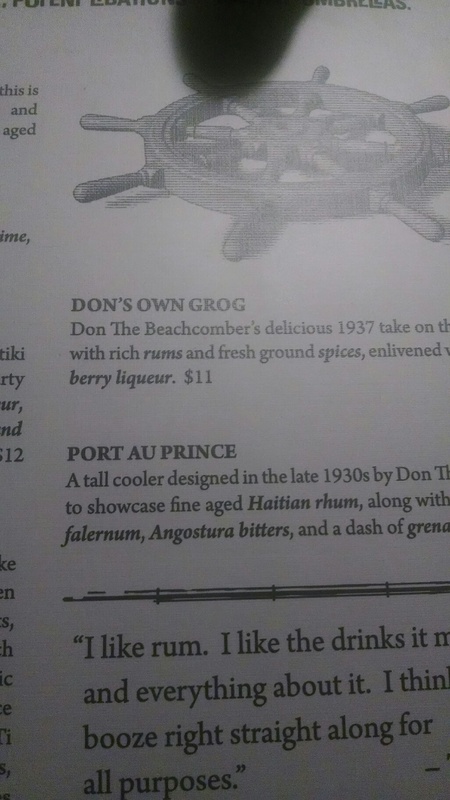 They have over 400 different kinds of rum, and their menu is a massive leatherbound book of rum recipes (and other liquor recipes) from around the world. 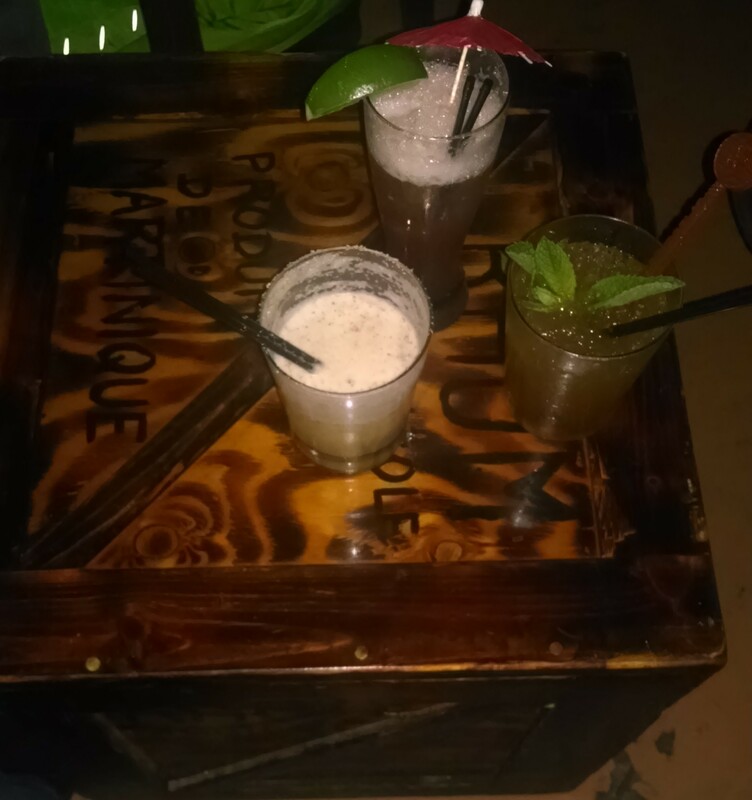 It’s really hard to pick one, and dangerous too apparently, after my initial selection the bartender dissuaded me since I’d picked a fruity drink with 4 different kinds of rum and “there had been incidents in the past” with that one. I tried a couple different drinks selected at random, and all of them were delicious. 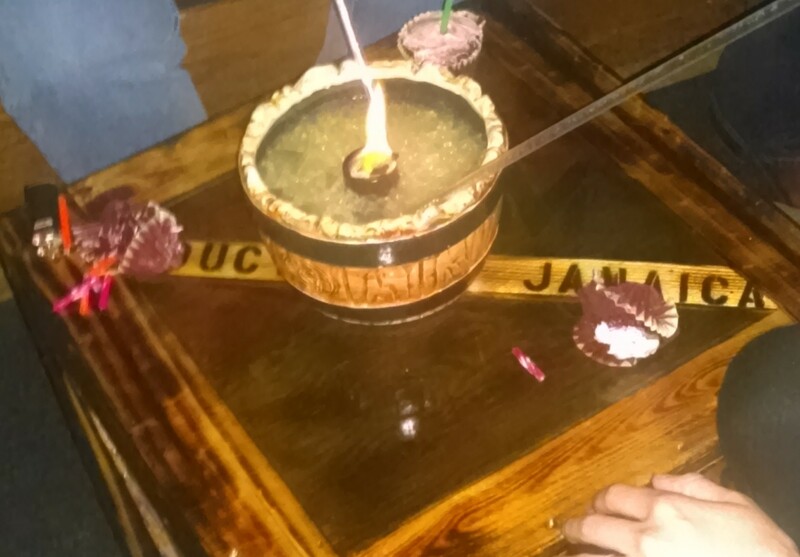 We also had a flaming volcano, their answer to the fish bowl, that is served in a large wooden bowl, with 4 straws, and a fiery show as it’s served. It was very potent, especially since there were only really two of us drinking it, but it was also scrumptious. The Smuggler’s Cove is a very unique place, I would definitely check it out if you’re ever in the area.